I recently attended an excellent 2015 SEO and PPC Trends webinar by Krista LaRiviere of gShift and Chris Doran of Acquisio. Their presentation was packed with useful information and engaging graph-filled slides. Big thanks to both of them for such a well-planned and informative session! What follows is a summary of what Krista and Chris covered during the webinar. Most consumers have smart phones these days, and in October 2014 the number of devices surpassed the number of people in the world. With that, more and more people are using voice-based search. When we use voice search, we tend to speak in full sentences. As search marketers, we need to account for the difference between conversational voice search and pared-down keyword phrases typically used in searches via desktop browsers. We’ll also likely begin seeing a change in ad formats as voice search continues to become more common. 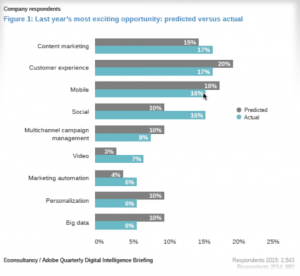 It will be interesting to see how digital marketing grows alongside user behavior! Mobile paid search on Google properties is up 14%. And the amount of online purchasing occurring via mobile is huge: 79% of users make purchasing decisions via their phones and 50% make purchases on mobile devices with an hour of their search. As a comparison, the average delay between search and purchase on desktop is one month. Why is purchasing behavior so different for mobile users? Customers conducting searches on mobile devices are looking to meet an immediate need, are doing price comparisons or looking for local products, and are looking for a streamlined experience. This means optimizing websites for mobile use is more important than ever. You like watching videos on YouTube or Vimeo, right? Most of us do. And with that, more and more content marketing strategies contain a video component these days. Does your business offer a vlog? 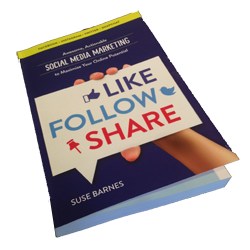 You will benefit from vlogging in the following ways: you’ll be offering your audience an alternate way to consume content; you’ll be expanding your digital footprint; your video can be indexed and discoverable within 15 minutes of uploading to YouTube. Your vlog does not have to be fancy, so why not get started today? Native ads are becoming more and more popular because they look so natural. A lot of times, we don’t even realize we are looking at an advertisement when we see a native ad! LaRiviere projects that we’ll soon see a pivot point in which there will be more and more ads and therefore less integration. Native advertising is growing quickly and will reach $5.7 billion this year. Yahoo, in particular, is investing in this trend. So how do we use it? Your SEO and content strategy can inform and drive your native advertising campaign. Consider boosting your owned and earned content with native ads. Why not? There has been a 100% growth in digital vendors this year. 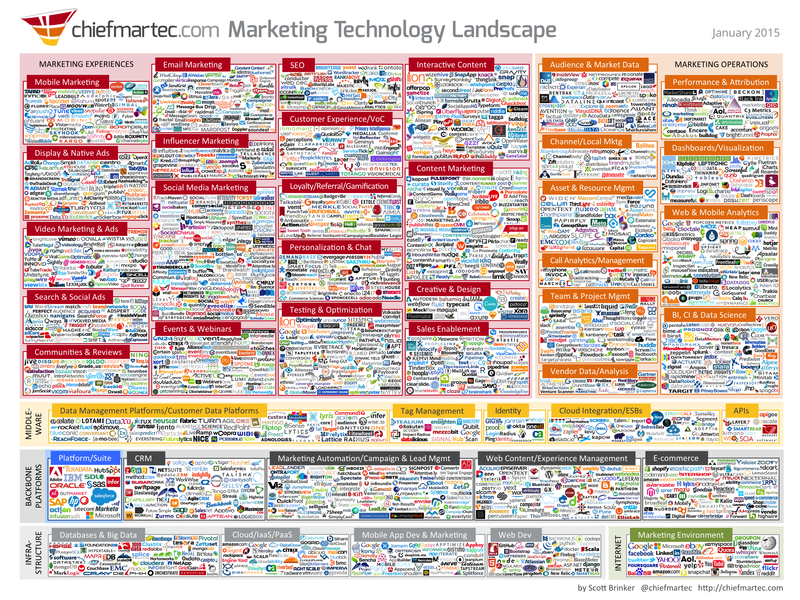 Look at chiefmartec.com‘s 2015 Digital Marketing Landscape. Incredible! What aspect of the digital marketing world are you most excited about this year?